Garrick G. Zielinski is a certified financial planner (CFP), a certified divorce financial analyst (CDFA), a certified divorce specialist (CDS), and president of Divorce Financial Solutions, LLC in Milwaukee, Wis. Garrick has been in the financial services industry since 1982. Prior to founding Divorce Financial Solutions, LLC, he was CEO and founder of WFA Asset Management, a group of companies and one of Midwest’s largest fee-only wealth advisory firms, with over $150 million under management in 2005. The WFA group of companies included subsidiaries in forensic economics, business tax and accounting, fee-only financial planning, estate planning, divorce planning, income taxes and risk analysis. Garrick divested his interest in the WFA group of companies in March of 2005 and subsequently launched Divorce Financial Solutions, LLC. Divorce Financial Solutions, LLC is unique in that the firm’s sole purpose is to resolve the financial issues and aspects of divorce. Garrick has testified as an expert witness more than 100 times in court cases relating to the financial aspects of divorce. He has been instrumental in the draft of more than 10,000 Qualified Domestic Relations Orders (QDRO) and 8,000 retirement plan valuations covering a broad spectrum of issues related to valuation and QDROs. He is the author of numerous articles published in newspapers, magazines and family law journals related to the financial aspects of divorce. Garrick has spoken to the State Bar Associations of Wisconsin, Illinois, Minnesota, Missouri and Iowa on presentations relating to financial issues incident to divorce for continuing legal education credits. 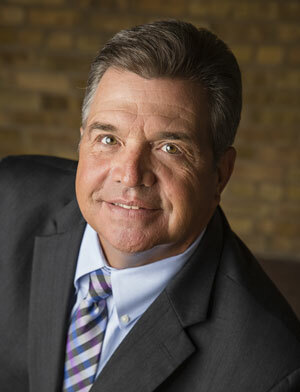 He is a member of the International Board of Standards and Practices for Certified Financial Planners, Inc.; the Institute for Certified Divorce Financial Analysts, Inc.; a member of the International Association of Collaborative Professionals; and is a past Chair of the Collaborative Family Law Council of Wisconsin, Inc. Garrick is also trained in divorce mediation and a member of the Wisconsin Association of Mediators.